Fracking is the latest fraud and threat to hit us. It brings promises of boundless energy and wealth. The reality is that these wells are costly in money and can and do cause very serious long term damage over wide areas to the soil and water table by contamination. The few gains that are got go to a few individuals who own or run the corporation pushing this technology. In energy terms it represents the last desperate attempts to keep energy flow at any cost. The truth is that these wells have massive depletion rates of up to 70% in the first year of production, The mechanism to finance these dubious wells is basically a ponzi scheme that is based on resale of fracking licenses. But with the massive depletion rates just mentioned, it means 70% of the total revenue is obtained in the first year and it rapidly tails off after that. So anyone sold these is left holding the bag as it were and the liability for damage and cleanup. From the recent experience with the property bubble and bust, we know how that worked out. 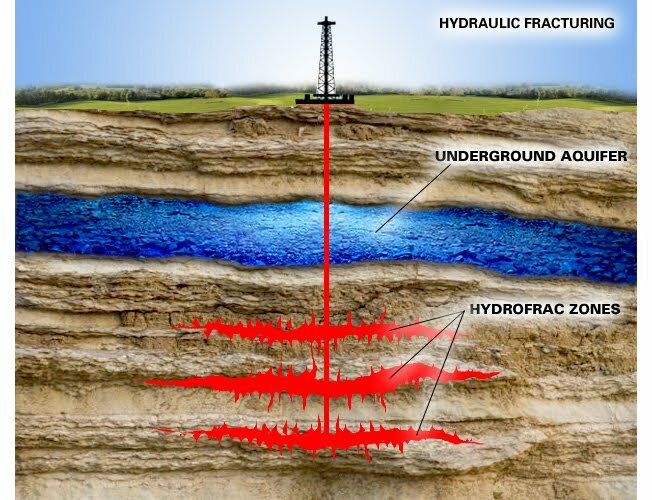 With Fracking you drill down into the rock in all directions and using high powered water pressure mixed with sand an a cocktail of dangerous poisonous chemicals the rock is shattered and the trapped gas released. This requires vast amounts of energy, piping and water. It literally wrecks the land. In Canada and the USA farmers have been wiped out because all their animals died from the poisons. What will happen in this corrupt country is that our government and their officials will smooth talk everything, give the okay and allow rampant greed to take over. Then when it all goes bust, we the people and thousands of farmers will be left with severely damaged land. It could even wipe out farming. It will certainly destroy our fishing and tourism. The fracking boom could be here and gone in less than 10 years and a small bunch of people will make off with the profits. However for the hundreds of thousands of people affected in the targeted areas the costs will be immense. You have been warned. This will be like the property boom except this time, your very land and means to survive will be destroyed. More on fracking shale Ponzi scheme -- get out while you still can! See this illustration of how it works. Large areas cleared and levelled to allow for drilling sites and road infrastructure to help support the process taking place. Potential damage to water systems, above and below ground from use of toxic fluids and elements used in drilling. Unkown damage to Geological layout. Escaping gas, this alone can cause health effects. Has the potential to cause earthquakes. When a site becomes exhausted of extracting gas, the site must be heavily secured and treated long term as there could pressure build-up. The storing and treatment of used fluids and chemicals after drilling. This is very costly to the companies drilling. No governmental body or independant overseeing the industry here. Therefore accountability is minimal in any given event. No State ownership of resources after drilling. The Shale gas becomes privately owned. Private companies have no obligation to give discount to local economy of resources acquired. Tax payer here must foot the bill in the event of a clean up after an accident. Ireland is small, even a small event could affect the island as a whole. The drilling here is focused in and around border counties with proximity to the Erne-Shannon waterway that could allow chemicals to travel the length of Ireland. The private companies here are new to the drilling industry and have no prior or minor experience of Shale gas drilling. 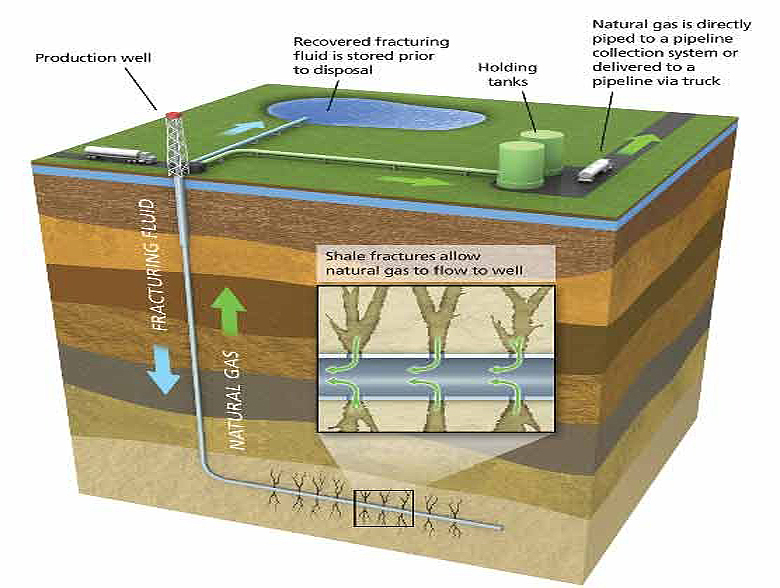 With Fracking the earth for gas, there then comes a need to store that gas. Huge chambers (500 Million cubic metres est) are being unearthed deep beneath the Larne Sub Basin onshore and offshore and along the NorthEast coast. These chambers are being created to store air at high pressure but could also be used to store gas. It is not certain whether gas Fracked in N.Ireland will be stored at these sites but it is a possibility. The salt deposits from the excavated caverns and tunnels may be injected into the sea sending the water/salt levels out of sync causing huge problems for marine life. There are 3 projects to create these chambers in planning. 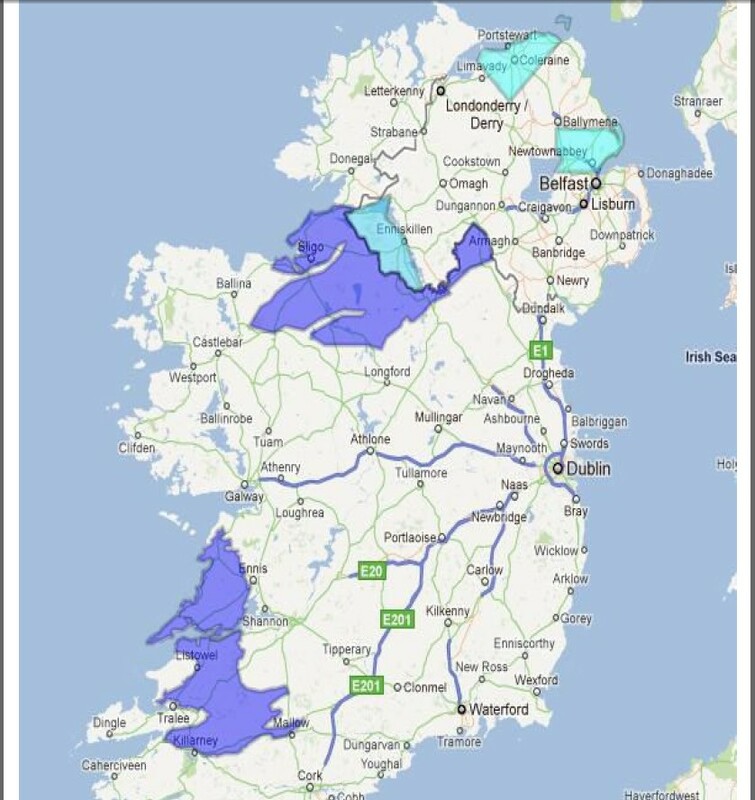 Counties and Townlands in the Fracking Zones - Are You Living in a Facking Zone? Find Out Here. Presentations: "The Realities of Hydraulic Fracturing" and "Fracking Inhumanity"
As you can see this affects very large areas of the country. A lot of people are going to be badly affected by this.